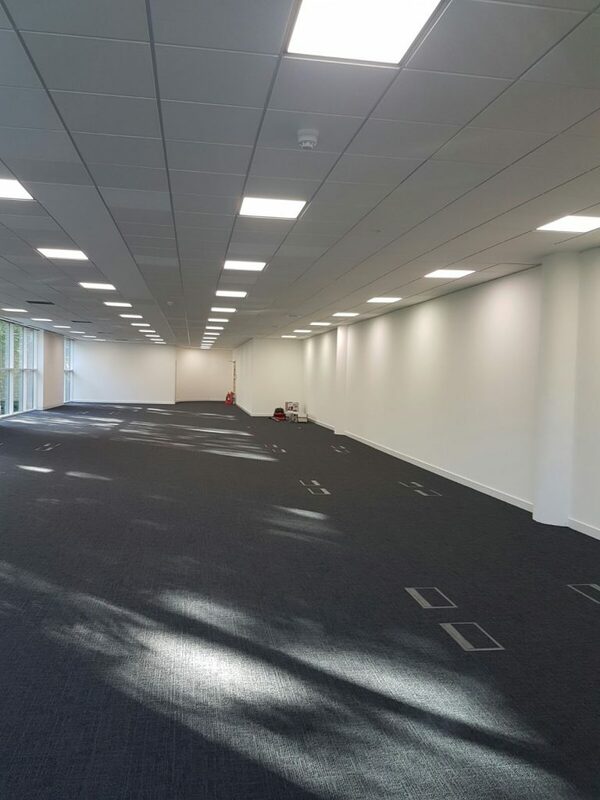 We were recently asked to redecorate this large office in Maidenhead. Given the size of the space, the walls and ceilings were sprayed rather than painted white; this gave the office a fresh, clean look. We worked efficiently to a tight schedule on this project and ensured that our client – a senior contracts manager – benefited fully from our attentive management, communication and reliability. With the work wrapped up, we left the office left clean, tidy and ready for the staff to move straight in.